From 1975 to 1979, Pol Pot led the Khmer Rouge in a reign of violence, fear and brutality in Cambodia. According to conservative estimates a million people died from starvation and illness during this period. Another 200,000 were executed as enemies of the state. S-21 was a secret prison operated by the Khmer Rouge in the capital city of Phnom Penh. Upon arrival the prisoners were photographed, tortured until they confessed to whatever crimes their captors charged them with, and then executed. Of the 14,200 people who were imprisoned at S-21, there were only seven known survivors. The coming exhibition at Photofusion comprises one hundred ID portraits loaned from The Photo Archive Group, founded by photojournalists Chris Riley and Doug Niven who discovered, cleaned, catalogued and saved the negatives found at S-21, now known as The Tuol Sleng Museum of Genocide. 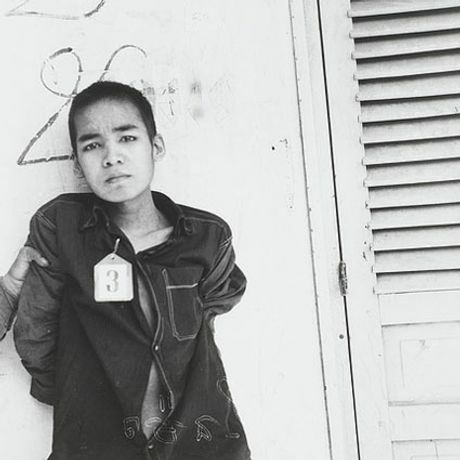 These extraordinary and provocative images, seen for the first time in the UK, are currently being used as evidence in Cambodia's UN backed genocide tribunal where five of the Khmer Rouge's former high-ranking leaders are being brought to justice.